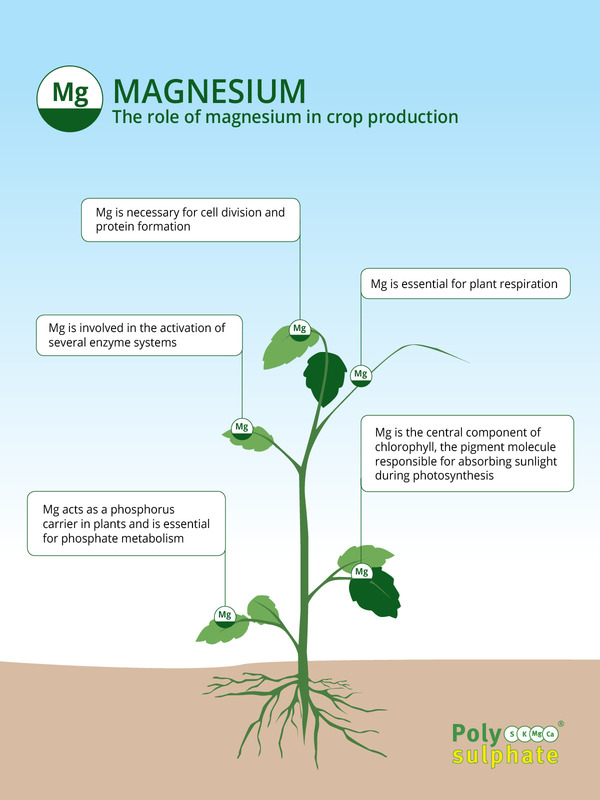 Magnesium (Mg) is needed by all crops to help capture the sun's energy for growth and production through photosynthesis. Photosynthesis takes place in chlorophyll, the green pigment in plants, and magnesium is the central atom of the chlorophyll molecule, with each molecule containing 6.7% magnesium. Magnesium plays an important role in activating enzymes involved in respiration, photosynthesis and nucleic acid synthesis. It aids in phosphate metabolism, serving as a carrier of phosphate compounds through the plant. Magnesium facilitates translocation of carbohydrates (sugars and starches) and enhances the production of oils and fats. In plants suffering magnesium deficiency older leaves show interveinal chlorosis (dark green veins with yellow areas between them). These yellowed or chlorotic leaves develop spotted areas of dead tissue and the leaf edges curl. 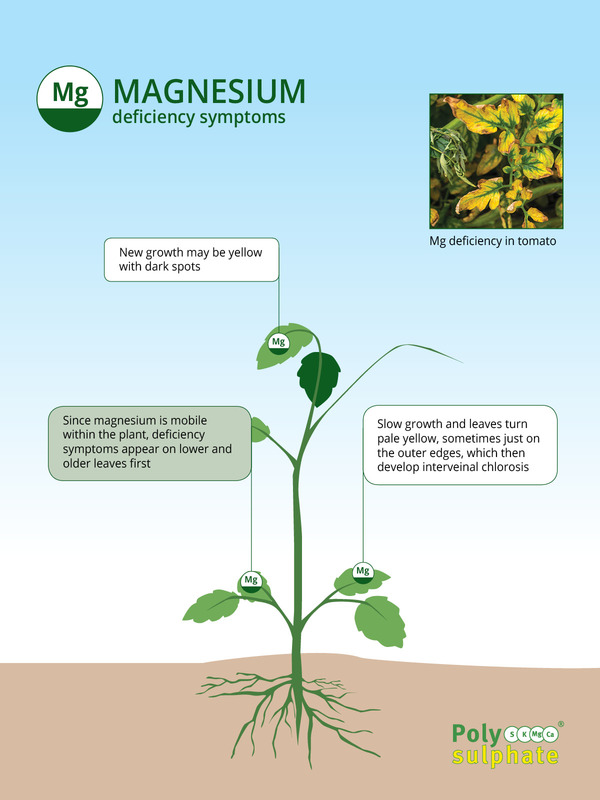 Since magnesium is mobile in the plant, the lower or older leaves are always affected first.